The Thirty years’ war lasted from 1618 to 1648 and played an important part in the history of north-eastern France. It is considered to be one of the most destructive conflicts in human history, and it has impacted many of our ancestors’ lives in these regions. In France, the conflict really started in 1635. From that year on, many battles took place in the north-east of France (mostly in Alsace and Lorraine). These regions were widely devastated by the conflict. It is estimated that Lorraine lost at least 60% of its inhabitants during that period. The Thirty years’ war has particularly left its mark on two of my ancestors’ hometowns: Boismont, in Lorraine and Wadgassen, a German village right next to the border of France. The village of Boismont suffered important damage during the Thirty years’ war — like the rest of Lorraine. As a result, most of it had to be rebuilt after the war. From the year 1660 onwards, the duke of Lorraine and the King of France decided to use immigration to get Lorraine back on its feet. Their goal was to repopulate the territory and to rebuild the villages, with the help of land clearers and builders. Many immigrant stonemasons and builders came from other regions of France (mostly from Picardie and Savoie). Meanwhile, some also arrived from the mountains of Austria. Among these immigrants from Austria were three brothers: Fidel, Ferdinand and Sebastian Perbal, who settled in Boismont. 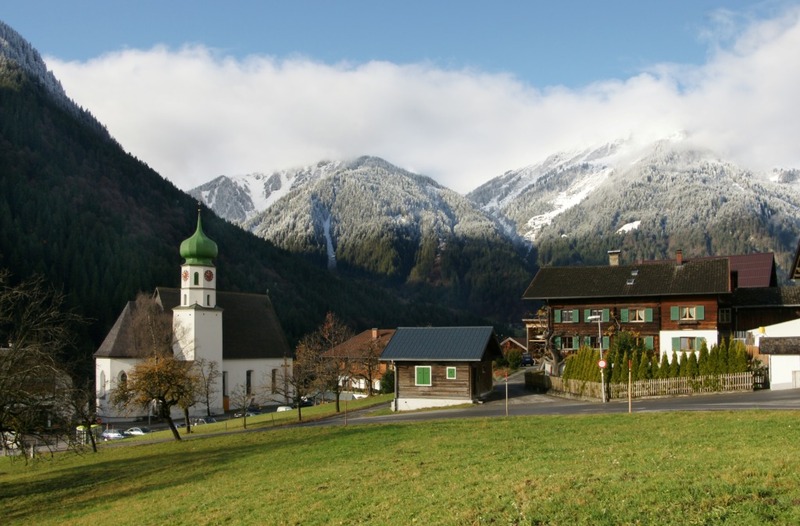 The three of them were born in the village of Sankt Gallenkirch, in Vorarlberg (Austria). The first trace of these brothers in Lorraine was Ferdinand’s wedding in 1671 in Boismont. The three brothers were 22, 16 and 12 at the time. Considering the age of the youngest brother, it seems likely that they had only recently arrived in Lorraine. The three brothers worked as stonemasons. They all started a family in Boismont, giving birth to a long line of descendants in the region. Two of them were my direct ancestors. The history of Wadgassen is quite similar. After the Thirty years’ war, only four families were still living in the parish of Wadgassen, with only 18 inhabitants. All the other inhabitants had left to calmer regions, or had been killed in the conflict. The remaining villagers gathered together in the hamlet of Hostenbach, which had been less damaged than the rest of the parish. These four remaining families formed the base of the parish’s population after the war. Three of these families were among the ancestors of my nine times great-grandmother Katharina Renckes, who was born in 1684 in Hostenbach. However, they were not the only families to repopulate the region. Many immigrants arrived in Wadgassen from the year 1660 onwards. Most of these migrants came from Austria and other regions of Germany. They helped repopulate these regions, but also revive the economy, as they rebuilt the villages and started new industries. Crystal and glass making had been an important activity in the region since the 16th century. But the war had put a stop to it. Many glass-making factories were rebuilt after the war and became one of the main economic activities in the region. In Wadgassen, a glass factory was created in 1690. Little by little, it helped attract new inhabitants to the parish. 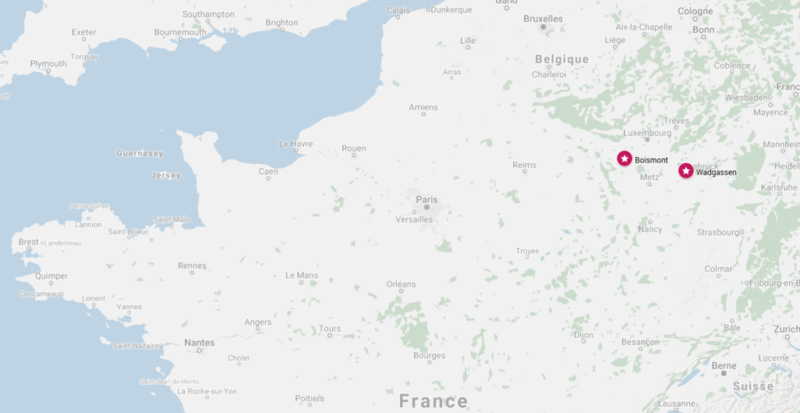 The story of these two villages is just an example, among many others, of the consequences of the Thirty years’ war in north-eastern France and Germany. From your town of Boismont my ancestors by todays road would be a 1 hour and 52 minute drive this morning. Via A30 then D955. Would it not be fun to meet up there? I very much enjoyed this piece of history and would love a similar report about this area from the end of this period to 1820.